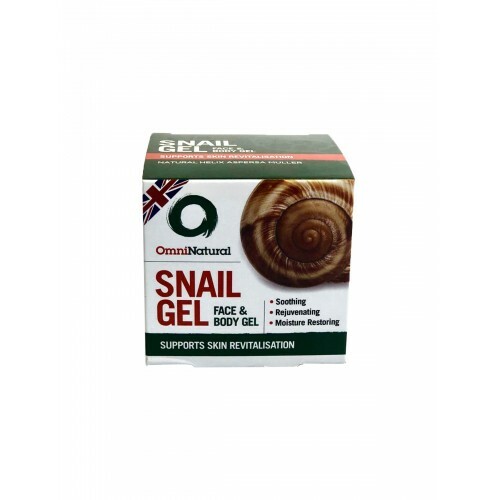 OmninaturalÂÂÂÂ¢ÂÂÂÂÂÂÂÂs Snail gel encapsulates the anti-ageing, skin purifying secretion that has been used for centuries in numerous different cultures for numerous different benefits. Snail and slug slime have been used sporadically as skin treatments since the time of the Ancient Greeks; Hippocrates reportedly recommended the use of crushed snails to relieve inflamed skin and some 20 years ago, the potential of snail slime was noted by Chilean snail farmers who found that skin lesions healed quickly, with no scars, when they handled snails for the French food market. 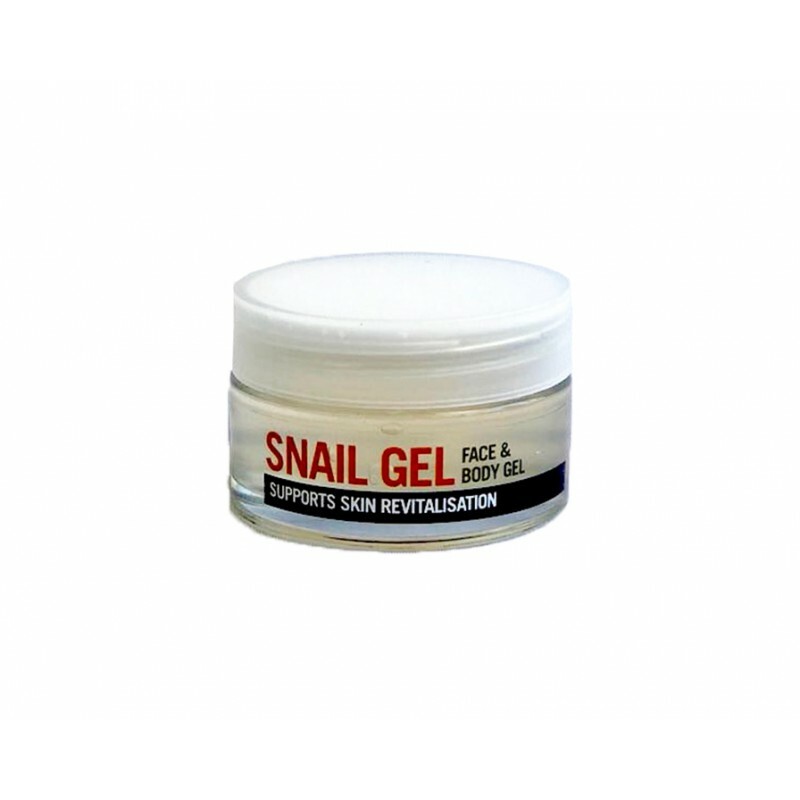 However, moving forward a couple of hundred years there has been an increment in the number of people using Snail gel and seeing significant benefits. 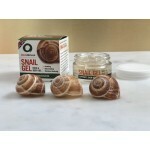 This can be seen in the US as snail gel products are being proclaimed as the miracle ÂÂÂÂ¢ÂÂÂÂÂÂÂÂface-fixerÂÂÂÂ¢ÂÂÂÂÂÂÂÂ with more people turning to it to treat acne, to reduce pigmentation, anti-ageing and to improve scarring. 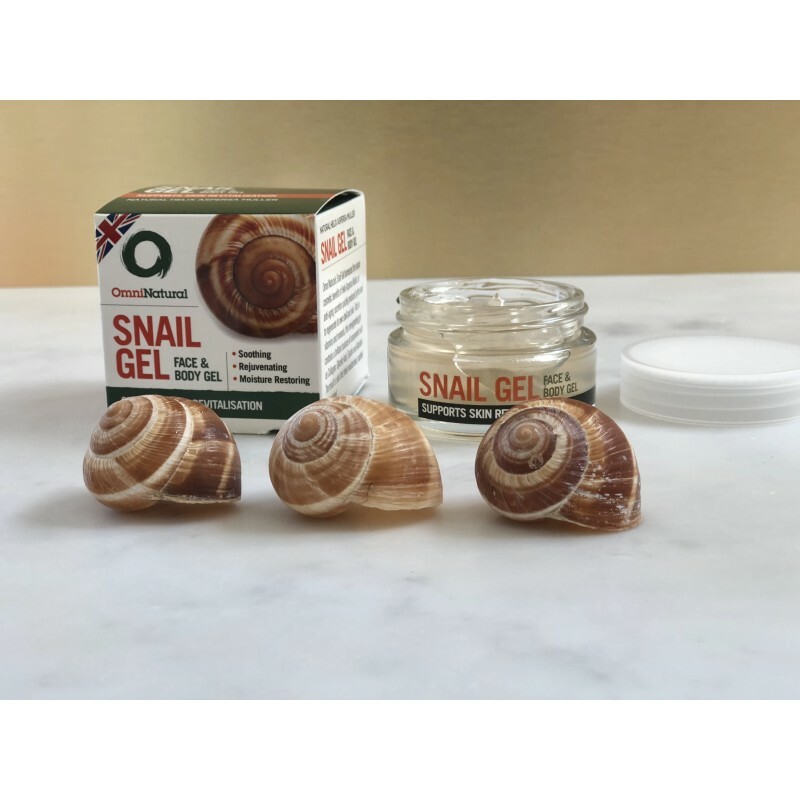 OmninaturalÂÂÂÂ¢ÂÂÂÂÂÂÂÂs snail gel is no different, offering you the perfect avenue to start your experiment with Snail gel! 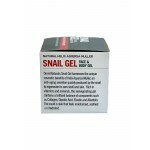 Used and endorsed by people across the world, Snail gel might be the cosmetic product that you have been looking for! Harvested from free-roaming snails under certified organic conditions, this gel can help soothe your skin. 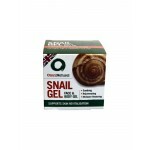 Omninatural's snail gel with Natural Helix Aspersa Muller supports skin revitalisation. 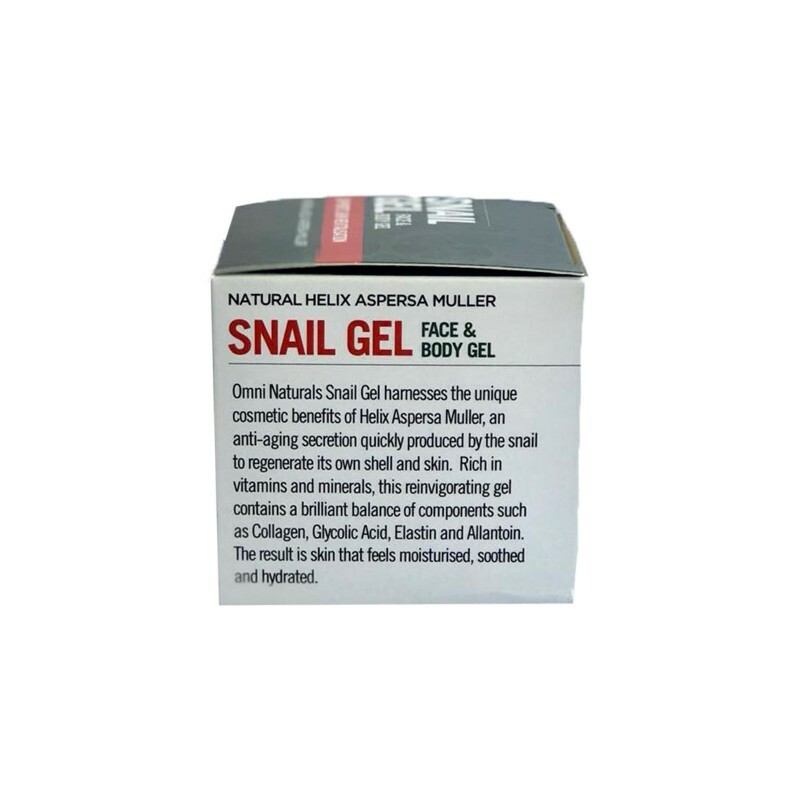 Harnessing all the cosmetic benefits of Helix Aspersa Muller, an anti-ageing secretion quickly produced by the snail, this body and face gel is Rich in vitamins and minerals this rejuvenating gel contains an exceptional balance of components such as a collagen, glycolic acid, elastin and allantoin. The Result is that skin that feels moisturised, soothed and hydrated. This skin revitalising gel combines the unique properties of helix aspersa muller with organic Aloe Vera and a blend of bio-active plant ingredients. This gel is produced from snails that are farmed humanely under certified organic conditions and are free to roam. The snails move over glass panels which are used to safely collect the mucus secretion, which is then filtered by vacuum evaporation to reduce the water content before a mild preservative is added to maintain its shelf life. ÂÂÂÂ¢ÂÂÂÂÂÂÂÂSnail slime has been used in folk medicine for thousands of years to treat a variety of skin conditions ranging from wounds to acne,ÂÂÂÂ¢ÂÂÂÂÂÂÂÂ Dr Joshua Zeichner, director of Cosmetic and Clinical Research in Dermatology at Mount Sinai Hospital in New York, told Healthline. ÂÂÂÂ¢ÂÂÂÂÂÂÂÂMore recently it has been incorporated into cosmetic skin care regimens,ÂÂÂÂ¢ÂÂÂÂÂÂÂÂ he added. ÂÂÂÂ¢ÂÂÂÂÂÂÂÂRich in the humectant hyaluronic acid, snail slime has skin hydrating properties. It also contains high levels of antioxidants which calm inflammation in the skin and promote healthy collagen production.ÂÂÂÂ¢ÂÂÂÂÂÂÂÂ Adding to comments made to Healthline. Apply sparingly to the skin, a little goes a long way! Repeat as often as required! 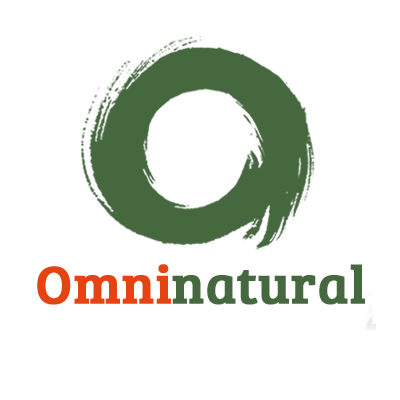 Aloe barbadensis leaf juice, Aqua, Olea europaea (Olive) fruit oil, Carthamus tinctorius (Safflower) seed oil, Helianthus annuus (Sunflower) seed oil, Snail secretion filtrate, Glycerin, Glyceryl oleate citrate, Magnesium aluminum silicate, Caprylic/capric triglyceride, Benzyl alcohol, Xanthan gum, Hydroxyacetophenone, Phenoxyethanol, Citrus aurantifolia (Lime) Oil, Litsea cubeba (May Chang) fruit oil, Cymbopogon schoenanthus (Lemongrass) Oil, Tocopherol, Dehydroacetic acid, Sodium Phytate, Alcohol, Citric acid. Due to ingredients' natural origin, colour and consistency may vary from batch to batch. This does not affect the quality of the product. Not for the internal use. Avoid contact with eyes. In case of accidental contact rinse with water. Do not apply to broken skin. If sensitivity occurs discontinue use. Avoid this product if you are allergic or sensitive to any of the ingredients. Keep out of reach of children. Do not use on animals. Store in a cool, dry place, out of direct sunlight. Suitable for vegetarians.